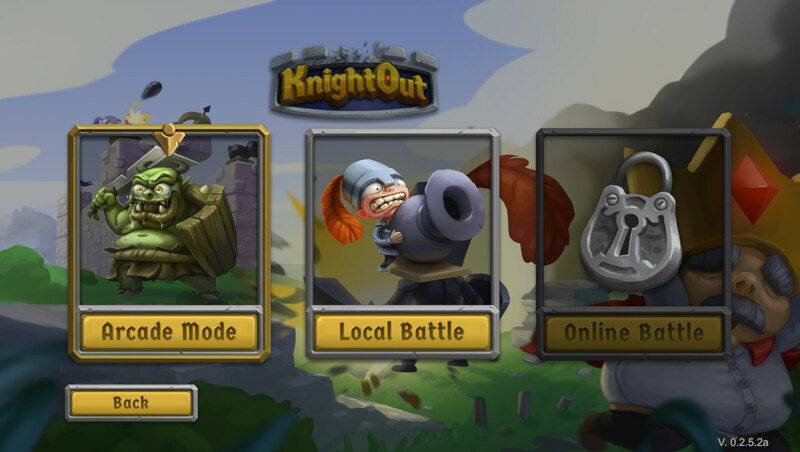 KnightOut is a build and brawl game for 1 - 4 players. Each game starts with both teams building a castle outfitted with cannons. Then, all hell breaks loose! Cannon balls fly, stone walls crumble, and your knight takes to the turf, slashing his sword. Once you’ve destroyed your opponent’s base and killed the king inside, you win! The game was funded 204% through Fig. And we been working full time on the game since then. We need testers, sign up through or website. You can also preorder the game there if you are interested. We reached our 2nd stretch goal. Only 2 hours left! Why are we on TigSource? 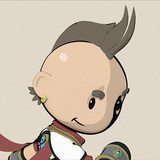 We want to create more awareness about our game, and share it with the community. However the big updates will be on Fig, and TigSource will have small but still awesome updates We are looking for feedback and your honest opinion. If you are interested in the game you can add it to your wishlist and get notified when its on sale and published. 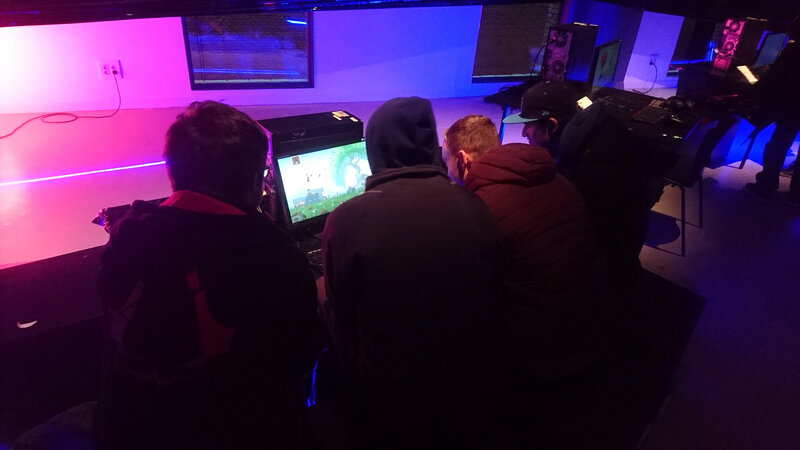 This is a old gem of people playing our game at a event called GameScope. It's so awesome when you see peoples reactions and you feel like you at least did something right. 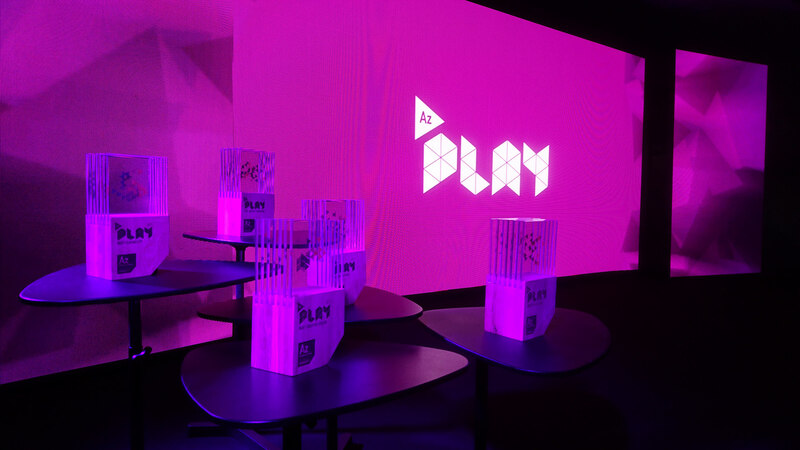 Last week we prototyped our arcade mode. It's the singleplayer and co-op mode for our game, where you defend your castle against waves of enemies. The blue knights are just placeholders until the graphics for it is ready. We have a basic AI, however we still need to setup a score and a loose condition, right now the game just restarts when you loose. Which is not ideal. 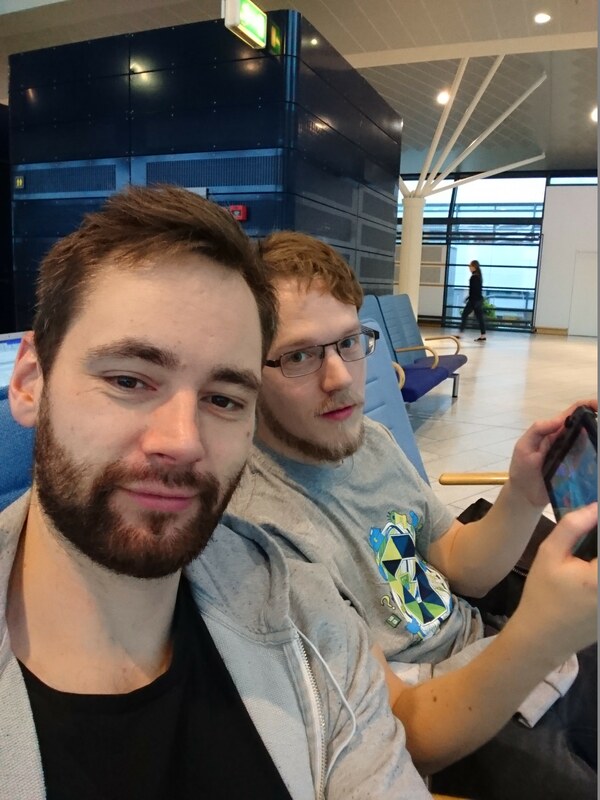 It was a small trip but it still took some time, so Nikki decided to bring his Switch. 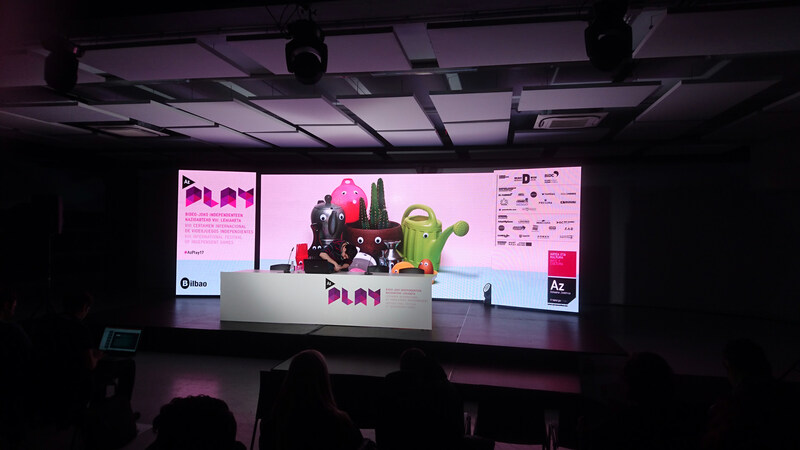 This is the main stage at the event where the award cereomony also where held. Our game was showcased at the expo. It did really well and people seemed to enjoy it. Remember seeing this on Fig, and I'm glad you got funded because I was too broke to chip in at the time. I'm really excited for it. I love these kinds of games that mix creativity and chaos. Its pretty exciting, lets hope people enjoy playing it. We wrote a detailed update on fig about what we been up to lately, be sure to check it out if you are interested in the game. 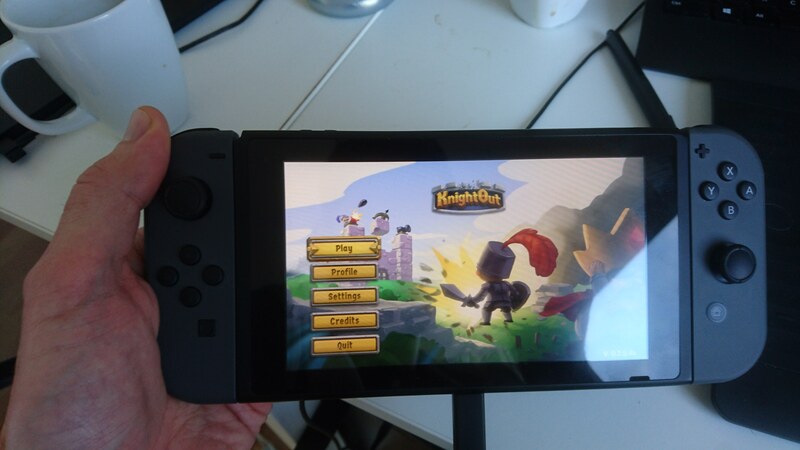 We also got the game running pretty well on Switch, it just needs some optimization. We have also been working on online multiplayer for the game. 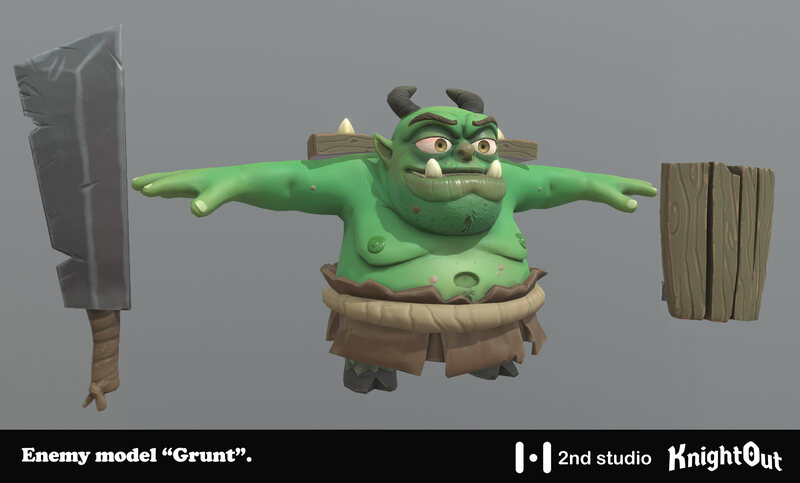 We been working on the grunt for our game. It's always an amazing process to see a character come to life. 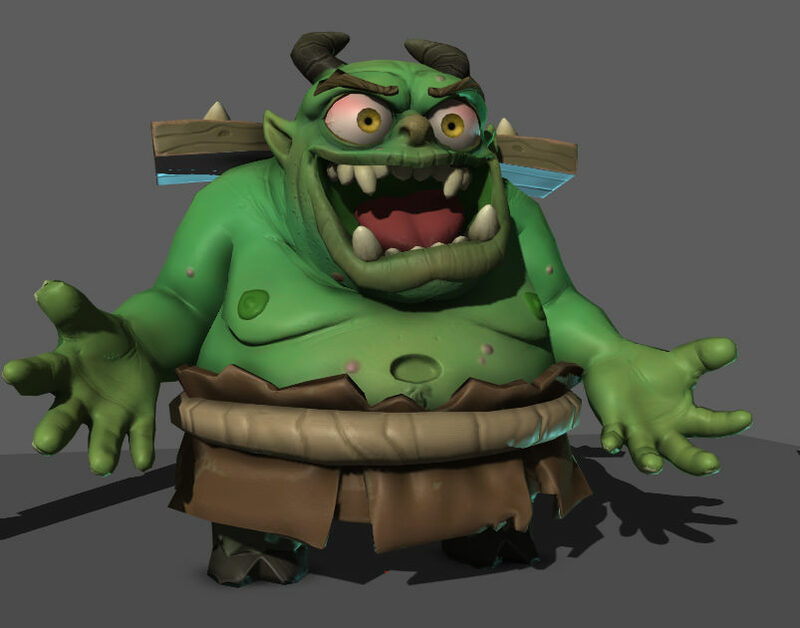 Next up is animation for this guy. He is going to have two weapons and different armors. So it's going to be exciting to see how much content we can get out if it. He is a enemy in the game and we plan to generate different enemy types based on him. I tried posing him, he is very expressive, and I think he is going to be a lot of fun to animate. A new objective: you knockout the King and rebuild your castle after each knockout. You need 3 knockouts to win. There is several ways to collect coins. 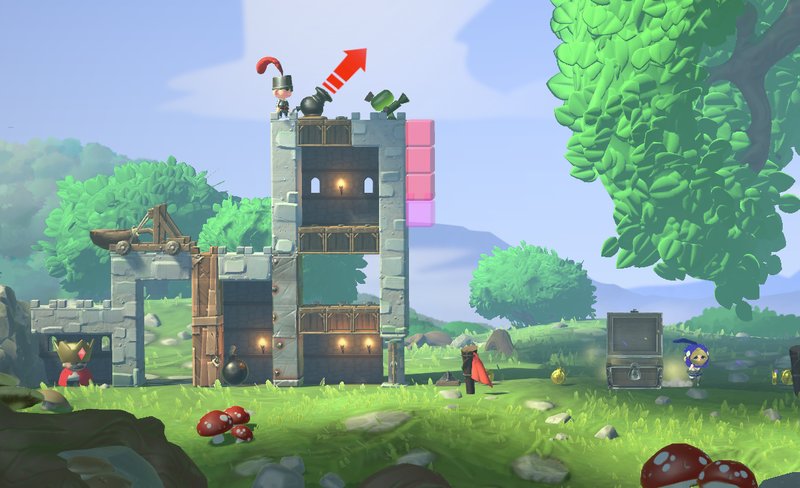 A chest drops from the sky but you can also steal the enemies coins by knocking them out and they will drop some of coins they collected during the round. Now all 4 players can build compared to before where only 2 players could build. We added 7 news items, including different weapons and traps. There is a new drag’n’drop build system, which makes it a lot easier and faster to build. We also decorate your castle with doors and hatches when you drag out a room. There are different ways of doing damage. Acid, fire, stone and melee. Different items have different weaknesses. We added separate colors to each player to better differentiate who is who. This is looking glorious, looking forward to future updates on this project! wow, I really like your art style!! The drake dragon we been working on. We don't have much we can share in terms of gameplay right now. We are working on the music and the campaign, mostly AI for the enemies. Soon we will be able to share some footage of it. This is great love the style! Artistically its very inviting and appealing. Keep up the great work! This is the most common enemy, who you will encounter both as melee sword guys but also as archers. The grunt.